Using device characteristics, location and user behavior, Callsign can personalize the authentication journey for each user to ensure that the correct authentication level is reached and the user is offered the path of least resistance. This document is COMMERCIAL IN CONFIDENCE. Neither the whole nor any part of this document may be disclosed to any third party without the prior written consent of Callsign Inc. The copyright of this document is vested by Callsign Inc. Neither the whole nor any part of this document may be reproduced, stored in any retrieval system or transmitted in any form or by any means without the prior consent from Callsign Inc.
Callsign offers features that are additional to the current implementation of identity management functionality offered by ForgeRock. 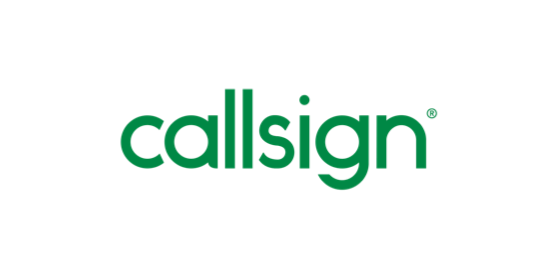 Using device characteristics, location and user behavior, Callsign can personalize the authentication journey for each user to ensure that the correct authentication level is reached and the user is offered the path of least resistance. Your Callsign Account Manager has created an organization for you and added you as a Callsign Dashboard ("dashboard") admin. If this is needed please email support@callsign.com to request this. Details and guides for other Callsign products can be found at https://developers.callsign.com and https://www.callsign.com/support. Authentication - user is performing an authentication on their AM account using their Callsign app as the authentication device. This guide takes you through both cases. The Server Connector follows the Custom Authentication Module pattern as described by ForgeRock here. Ensure that the copied files have the right permissions and are owned by the application container user. Make a note of the private key ("Service Provider Private Key") as you will need it in the Client UI configuration. Select Allow Passcodes if applicable. Select Allow Embedded Callsign ID. Select Callsign as Incoming User ID - this is the ID type you require the user to enter when using the Client UI. Click on Callsign Keys to view the Callsign Public Key. And you are finished with the Dashboard. Next you’ll need to configure the module using the Callsign Public Key, Service ID and Organization ID you gathered from the Dashboard. User ID should be the user’s Incoming User ID (default is their Callsign username). Passcode is for an offline code generated by the user in their app. This is an optional field. Description can be used to display text on the user’s smart device. This is an optional field. The Server Connector is a Custom Authentication Module that doesn’t require a UI, best used when you are using OpenAM to protect APIs. Type in your Callsign username and authenticate the login prompt that will appear on your smart device. On the Groups screen, select Active Users if you want all organization users to be able to authenticate. Or select Groups, if you want to limit authentication to certain users. Make a note of the Service ID ("Service ID" in the Client UI Configuration). The final piece of information you will need from the Dashboard is the "Callsign Public Key". Click on Callsign Keys and note this down for the Client UI Configuration. And you are finished with the Dashboard.